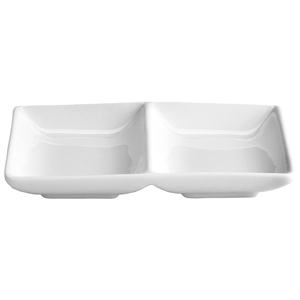 The Moonlight Double Dip Dish Tray offers dual servings of sauce or condiments, perfect for serving 2 dipping choices at once. With an integral double dish design, there's no need to carry multiple sauce dishes to your dining table. Perfect for serving mustard alongside ketchup with steak or burgers.